Home » Bible Junkies » Commentary on Mark » Gospel as Story » Gospel of Mark » Jim Martin » John W. Martens » Online Commentary » Red Maple Press » S.J. 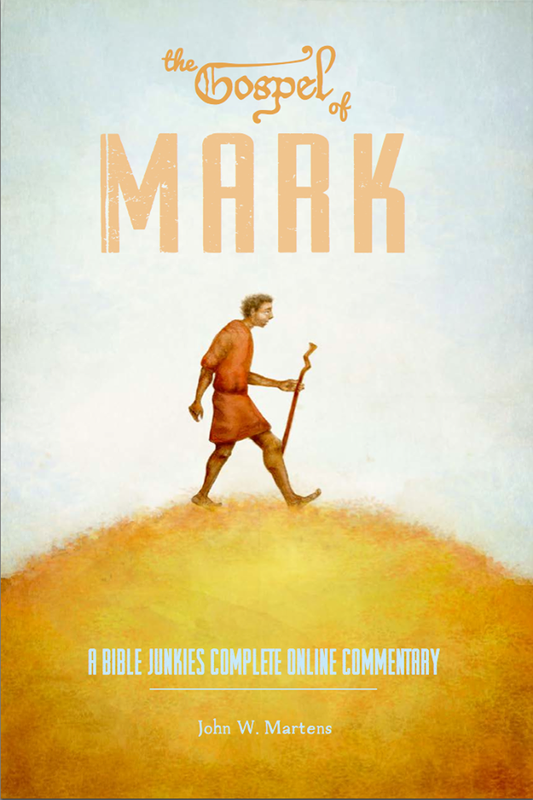 » The Gospel of Mark: A Bible Junkies Complete Online Commentary Now Published! 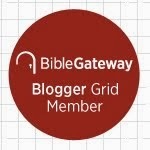 I am pleased to announce that the first Bible Junkies Online Commentary has been published! This book arose from this blog and the weekly entries on the Gospel of Mark and so I see it as a special work. 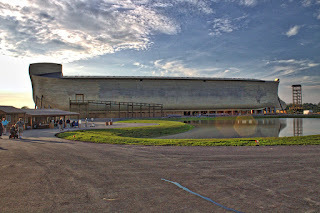 Its genesis began not necessarily with the writing, however, but with some readers who began to ask whether the finished product would be available in book form at some time. It seemed like a good idea and initially I thought that an e-book would be the best (and most inexpensive) format. When I saw the watercolor that Gabriella Galvez produced for the cover, though, I knew that a paperback was necessary. The book is worth it for the cover art alone! For the first month, the book will be available in paperback for only $15.00 (CA) and then it will be available in all e-book formats for $5.00 (CA). The cost is being kept down so that readers can afford it and students could utilize it for class at a reasonable price. If for some reason you are not able to afford the book, please know that the blog posts are available for free on this website. Just click here and you can get access to all of the posts. The book, apart from the art, does have some added features, including a Foreword about the Bible Junkies project, an annotated Bibliography and additional footnotes and Appendices. I also want you to know that this is the first in what we hope will be commentaries on every New Testament book. We have paired with Red Maple Press because it shares our vision of making biblical studies affordable and is willing to stay in for the long haul in publishing the whole series, which might take (more than) a few years! I thank him for his kind words and hope that you, too, will find the book an exciting and dramatic read. That is the nature of the Gospel of Mark and, I believe, the nature of the Gospel message. One more thing, there are two draws for a free book going on right now. Either follow Bible Junkies on Twitter (see below) and retweet my announcement of the book’s publication (it is the tweet that tells you to retweet to enter the draw) or follow Bible Junkies on Facebook and share the post on the Bible Junkies post announcing the draw! Either way, if you share the Facebook post or retweet the tweet, you will be entered in the draw. We will announce the winners on April 2, 2014. To buy the book now, just follow this link! Thanks for all of your support in this project.